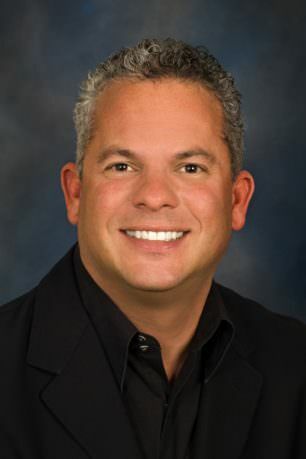 An Associate Broker and Realtor with Berkshire Hathaway HomeServices Fox & Roach, REALTORS® since 2004, Damon Michels is a top-producing, award-winning sales professional and recipient of many awards and accolades. As a residential listing and buyer specialist in the Main Line and Center City and experienced relocation expert, Damon’s far-reaching knowledge and expertise sets him apart from many. Damon has earned an impressive list of real estate designations to make sure he is current and ahead of the curve in the real estate arena. A well-established, knowledgeable and dedicated Realtor, Damon provides personalized, quality service to each and every client. With his background in finance, he has exceptional tools to help negotiate real estate transactions. A life-long resident of the Main Line, he grew up in Penn Valley and currently lives on the Main Line. Damon continuously strives to be the premier Realtor on the Main Line and Center City while providing his expertise and exceptional services to all clients. Over 500 Homes Sold in 2017 & 2018! “Top 10” Team in the entire BHHS Network throughout the US in 2018! It was a great pleasure to work with Damon Michels. From the beginning, he clearly understood what I was looking for, and he arranged the properties to see in a timely manners, so I didn't spend much time looking for properties. During the closing stage, everything went very smoothly and fast, ... and we easily reached and agreement with the seller. Damon is a highly knowledgeable realtor. His level of commitment to close the deals are amazing. We had a great experience using his services and will recomend him to any friends and family looking to sell or buy in the Bryn Mawr area. Damon helped generate a substainal increase in traffic through the door after enlisting him as my selling agent. Damon and his team was very accessible and responsive especially once we started getting offers. His website offered area specific statistics that helped us understand the local market conditions better. We ... would highly recommend Damon as a selling agent to anyone looking to sell. We worked with Damon to buy our Bala Cynwyd home. He patiently showed us a range of styles and prices so that we could identify what we wanted. He helped us refine our wants and needs over a period of a couple of months, exhibiting patience and offering his expertise ... but never pushing. He obviously knows the area well and explained shorter routes, areas to explore and added historic stories to our tours. After seeing about 30 houses, some we asked to visit multiple times, we ended up with a house that was perfect for us. Damon was terrific in the negotiation process, supporting us through the emotional highs and lows of negotiations and getting the seller closer to the price we wanted than we ever expected. Throughout, he and his staff were always available, respectful, friendly, transparent, and highly responsive. Damon was also great with our elementary-school-aged kids, making time to listen for and answer their questions honestly and completely. Damon was wonderful to work with! We were new to the area and had no idea what we wanted (starter home vs. longer-term and fixer-upper vs. move-in-ready). Damon started by showing us the different areas and different priced homes so we could gage what would work best for our family. ... He and his team were always responsive and quick to show us new listings. We ended up buying a fixer-upper starter home! We can't wait to make it our own and have Damon help us sell and then buy again when we outgrow our starter. I would highly recommend Damon and we will definitely be using him in the future.